Civil Protection or as we know it in Lebanon, Civil Defense, is a household name that often bring a sigh of relief for people involved in various incident or disasters; and we have had our share of those in Lebanon. When recently approached by the organizers of the EUROMED PPRD SOUTH II PROGRAM to deliver a workshop on the effective use of social media for risk awareness and recovery I was thrilled by the opportunity to do something meaningful away from the usual freebie giveaways and brand mongering that seem to dominate the social media scene. Set on day 2 of a two-day workshop in Cyprus, aimed at delivering added value and hands-on knowledge to select countries of the Mediterranean basin, my contribution was intended to bring the fine members of the individual civil protection societies up to speed with the latest trends and best practices for effectively managing their chosen social media channels. Through a breakdown of the pros and cons of each channel, and its effectiveness in delivering proactive awareness messages versus its usefulness in immediate response to crisis, a real brainstorming session took place that helped shed valuable light on present practices and recalibrate the individual efforts of some countries. The invaluable work done by "Donner Sang Compter" was featured as an example of how to do things right both on and off of social media, and the cynical yet effective application IAmAlive along with its tongue-in-cheek version for VIPs helped wrap up the session and define the influence of social media in our lives in times of crisis. It is very exciting when age-old entities, that are often very traditional in their modus operandi, opening up to new work methodologies and striving to utilize the full potential of new tools such as social media channels. The Lebanese Civil Defense delegation assured me they were very interested in pushing their existing presence even further and fully embrace technological advances. I hope they won't have to go through too much red tape to do this. 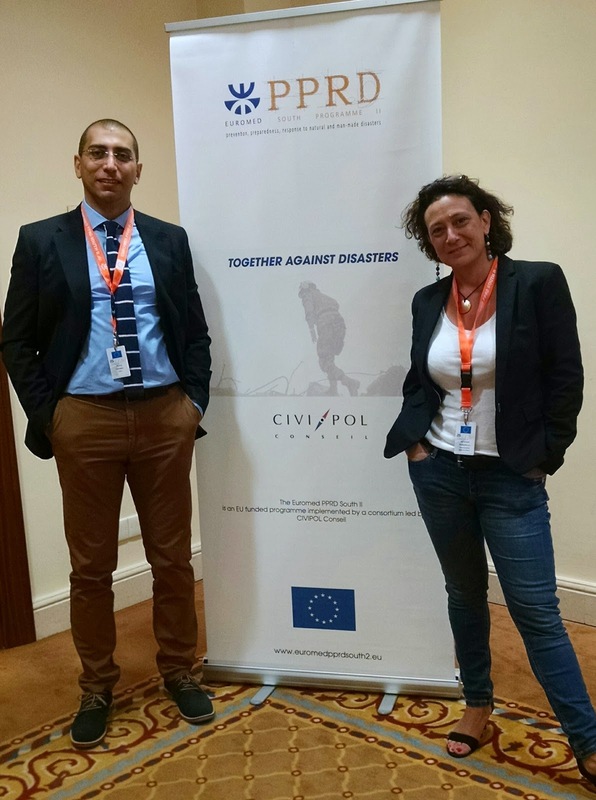 I want to strongly thank Véronique Ruggirello and the organizers from the PPRD team and Civipol for their warm welcome and followup on every aspect of my trip and presentation and mostly for the insightful and fun time we spent in between working sessions.